While everyone else was at the Mitsubishi L200 pick-up launch, testing the new L200 on World Rally stages in Turkey, I was driving it in Thailand. That’s where it’s built, of course. So I also got to see it being built at Mitsubishi’s superclean factory at Laem Chabang, plus a visit to Laem Chabang port from which all vehicles built in Thailand are exported. 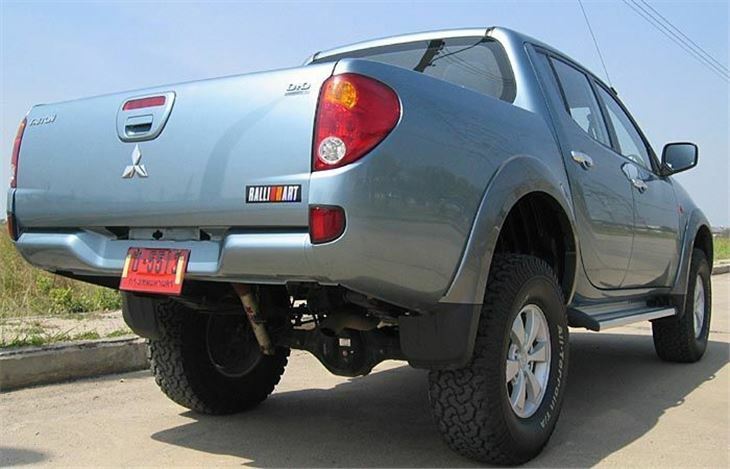 As you may know, in Thailand, the new L200 is rather impressively badged the Triton. 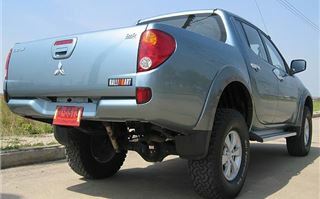 Like the Isuzu Rodeo (D-Max) and the new Toyota Hilux (Vigo), also built in Thailand, it was launched there a long time before the UK. 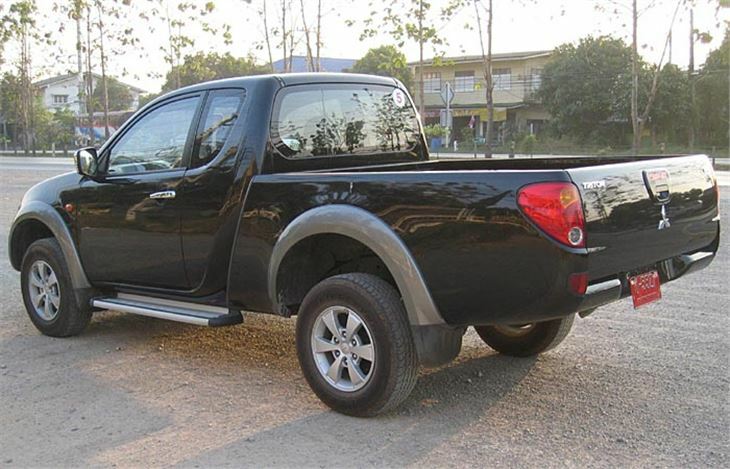 However, while the D-Max and Vigo took a year to 18 months from Thai to UK launch UK, the L200 Triton has only taken 6 months. 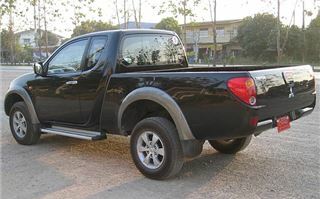 Like the D-Max and the Vigo, the L200 is not available in the UK with the most powerful diesel engine that can be found under Thai market bonnets. EU4 regs have seen to that. However, though I thought I was driving the 165PS 3.2 (it certainly went well enough), in fact all I actually had under my right foot was the standard UK spec 140PS 2.5. Not even the chipped UK only 160PS 2.5. You can see for yourself what the new L200 looks like. 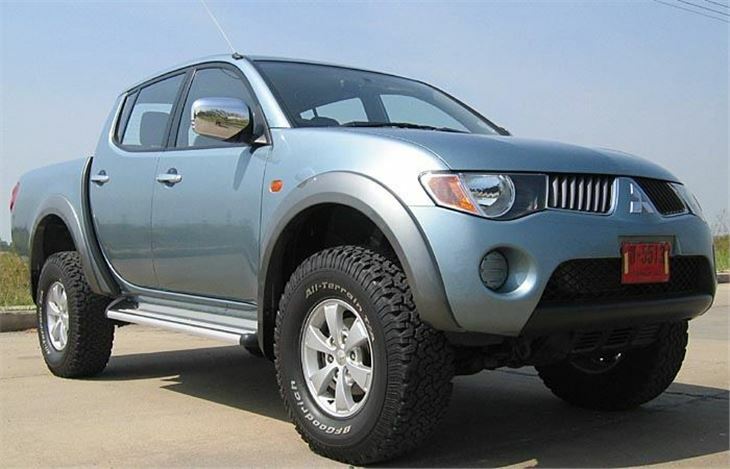 Like the Dakar Rally winning Pajeros and quite unlike any other pick-up. The brutality school of styling has been given the elbow. It’s a very nice looking and, more importantly, more aerodynamic vehicle. The fact that even driving it at speeds up to 110mph I got nearly 35mpg is the crucial benefit of this. I then proceeded to get hopelessly lost on the Bangkok tollways due to my out-of-date map and the fact that the signposting only tells you next destination, not eventual destination. So I took to ground level which I now know quite well. I mention this because the fact that I sat in some of the worst traffic jams in the world for three hours without going crazy (and without scratching the truck) says a lot for the truck. Finally, out over Krung Thep Bridge, U Turn, more traffic and at last onto the A35 on my way to Cha Am, 206 kilometres South. Thai drivers don’t drive like UK drivers, especially in the South. 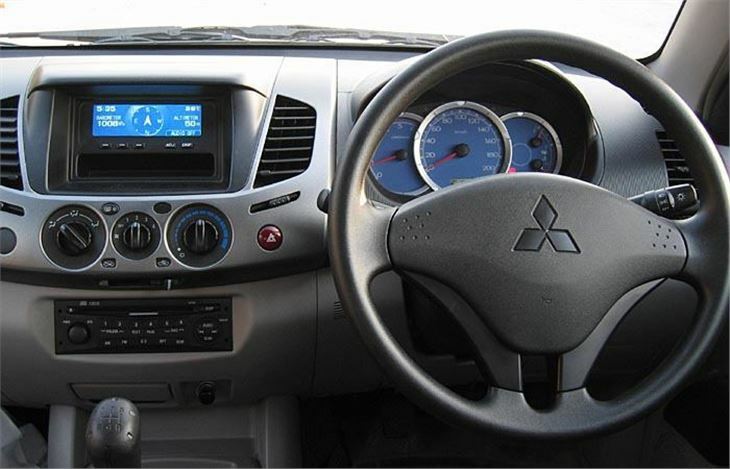 Instead of getting over to the left, which can be badly rutted, the slower ones often hog the centre or right hand-lane at speeds as low as 70kmh. 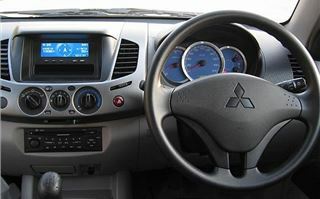 Unlike UK drivers, though, all Thai drivers expect to be overtaken on the left, watch their mirrors and hold their place so you can be much more confident than in the UK that you won’t get cut into as you pass. Though the weight and centre of gravity obviously makes a pick-up less manoeuvrable at high speed, with its rack and pinion steering, double wishbone front suspension and above the axle rear springs, the new L200 is astonishingly impressive. Noisy at idle, not great off the line, but very flexible in 5th gear, pulling 160kmh easily and on one occasion touching 170kmh. The gearing probably helped, giving 27.5mph per 1,000rpm in 5th. Quiet at speed, too (another benefit of the aerodynamics). The brakes are exceptionally good. Ventilated disc fronts and drum rears, but absolutely massive, with ABS and EBD. 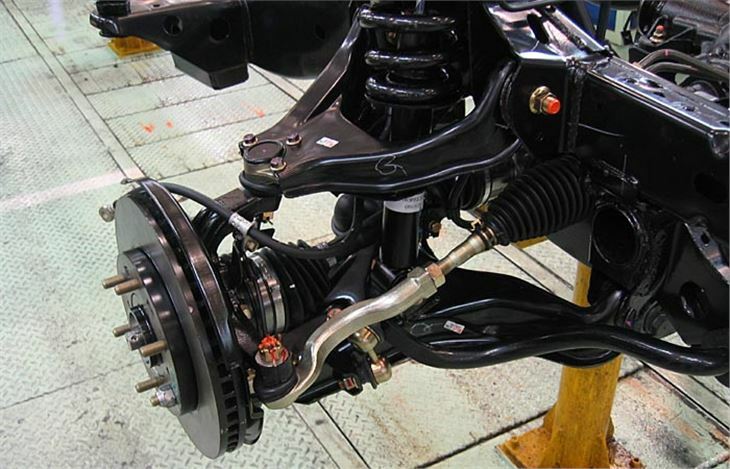 They, the back axle, the steering gear and the chassis have all been substantially beefed up for the new L200. So, rather than lagging behind the opposition in power as the South African built UK market Hilux does, the new L200 has plenty even from its most basic engine. It is highly unlikely that the 3.2 engine (from the Cantor truck) will make it through EU4. But a chain cam 2.8 will be available in other markets and may eventually make the UK. In the double cab there is a disadvantage that, unlike the new Navara and Hilux, the rear seat squabs do not flip upwards leaving a flat floor for secure storage of tools. But there is no doubt that the new L200 is by far the best looking pick up on the UK market. Happily it does have the power to match its looks. 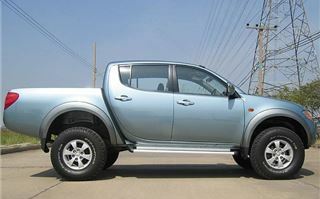 And, even better, it is the only pick-up expected to get a four star Euro NCP crash safety rating. Back in the UK I had a chance to drive the Animal double cab with ‘Super Select’ four-wheel-drive and off-road tyres on a demanding off-road course. This was serious stuff, with severe ascents, descents, ruts, mud pools, a lot tougher than the ‘black route’ at Millbrook. Basically, the new L200 breezed through everything the course could throw at it. It even has an ‘anti-stall’ feature that keeps the engine running at minimum revs just as long as all wheels are not slipping or the ascent is too great. The tight turning circle of 5.9 meters also paid off here making the new L200 much more manoeuvrable than, for example, the longer Navara which needs a full 7 metres. Having done my driving stint I then had the opportunity to sit in the back while someone else had a go. A true test if ever there was one of the comfort of the rear seats. These are much more reclined than in the old L200 with more legroom in the back than any other UK double-cab. Next, the 4-speed auto. Surprisingly, this drives on twisting country roads in the same sort of manner as the old Omega 2.5 diesel auto. It’s smooth, doesn’t hunt, and handles decently up to the point where roll understeer will always try to take over on a vehicle like this. On a special track we were also able to test the effectiveness of the ABS with EBD at allowing the vehicle to steer safely from a 40mph stop with the brakes fully applied. Then check out how the M-ASTC system cuts in to prevent the vehicle gearing out of shape if you try anything stupid like cornering much too quickly. Finally a point about Benefit in Kind Tax. The rules change from April 2007, so instead of paying tax on a base of £500, company drivers of pick-ups will pay on the basis of £3,000. So, for a 40% taxpayer, the tax burden shoots up from £200 to £1,200. But further changes in the BIK base rate increase the tax burden for ordinary cars, so pick-ups still remain much more tax-efficient, if not the give-away they are now. And on top of that a 40% taxpayer will only pay £200 tax for free fuel. A bit later I was privileged. 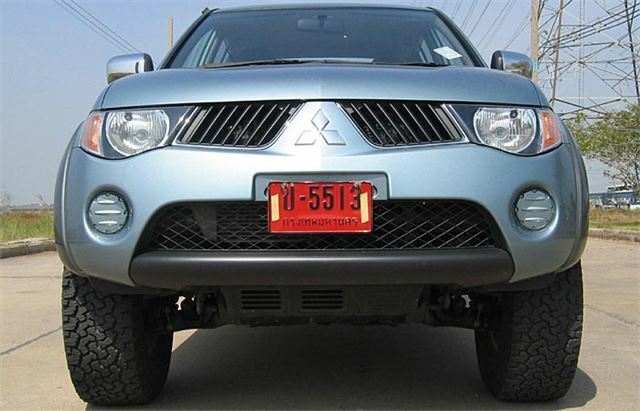 Mitsubishi sent me one of its first chipped L200s. 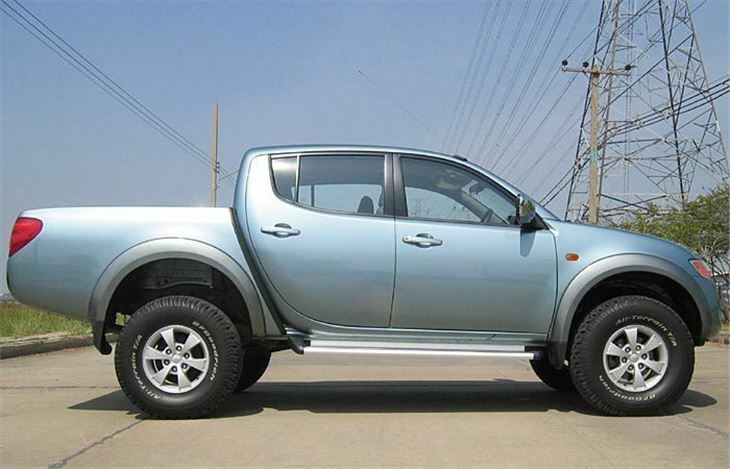 An all-singing, all-dancing double-cab Warrior automatic, with everything including a covered and carpeted load bay. It lacked low speed torque. So I needed to build the revs before emerging onto a roundabout, for example. But out on the road, on song, it got up to 80 remarkably, even scarily quickly. Its alleged 165PS felt a lot fitter than the Navara’s 174.